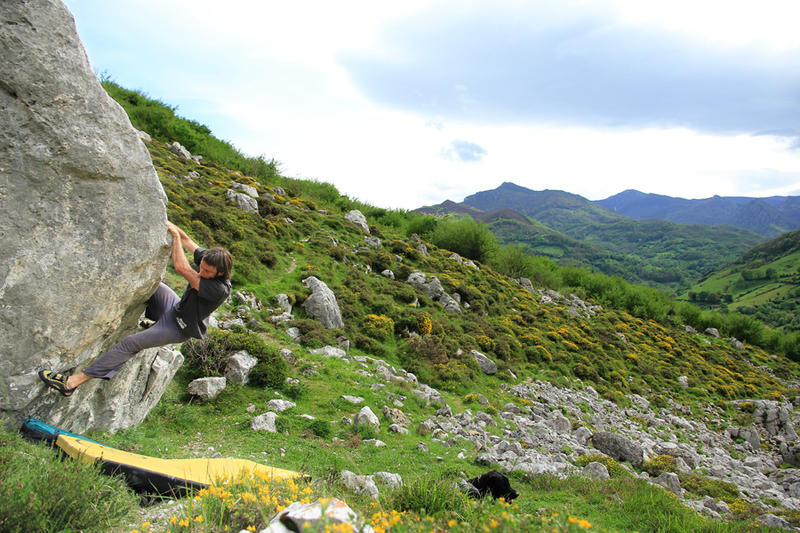 Asturias has quite a few good bouldering spots, which I’ll hopefully detail in later Blogs – however, in the last couple of weeks we have been sampling the delights of the boulder field above El Cantu in Teverga. 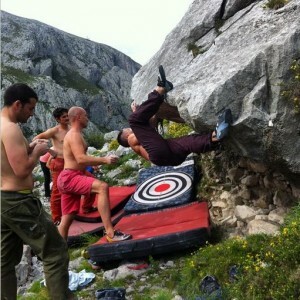 Lots of boulders in an impressive setting!! Placas del sol behind..
Impressively situated below the huge, imposing walls of Placas del Sol (read more here) this jumble of blocks provides aound 100 problems with a good spread of grades: from 4 to 8b. 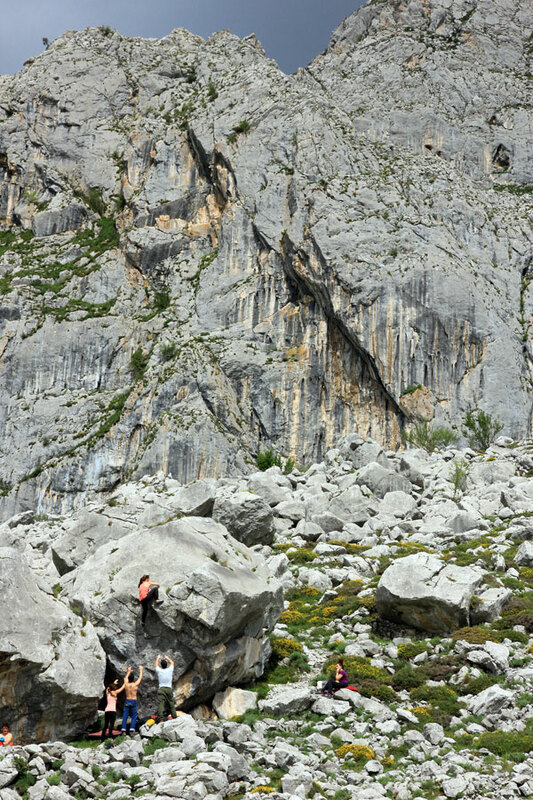 My first time was during the Encuentro, organised by the local climbing group Grupo Montaña Escalada Aguja Sobia and unfortunately I arrived late missing a perfect morning of chilly rock. However, as the forecast rain began to fall I still got try a fair few problems as it spat intermittently and watch (slightly dumbstruck) as local hotshot Ignacio Mulero nearly did an 8b!! The day got me a bit more psyched for the boulders so we returned few days later with a crew of friends who were training for an upcoming South African trip. Juan on a brilliant 6a…in a superb setting! Once again out-classed I did at least this time manage few more problems than before and even though I felt 100% like a route climbing a few of the old bouldering reflexes kicked in. 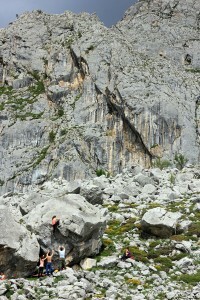 As ever, limestone bouldering gives nothing away and some of the grades felt brutal. 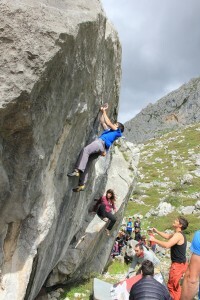 But watching the guys and girls send gave me some enthusiasm and optimism and I a pretty sure that with a few training sessions I can return and bag something a bit harder! And finally here’s a little video of something I hope to get on soon…some new boots might help for the very tiny left foothold though! !